Dato’ Simon Foong, Co-Founder and Group MD of Senja Aman Group, and Mr. Ho Kwon Ping, Chairman of Banyan Tree Holdings, launched the sale of luxury suites for the Angsana Teluk Bahang, Penang at the Grand Hyatt, Kuala Lumpur over the weekend. This is the first beach resort development in Malaysia to be managed by award-winning Banyan Tree Hotels & Resorts under their Angsana brand, and is set to become a major development for Malaysia’s tourism and property sector. The launch event saw the first release of the development’s exclusive collection of 150 fully furnished two-bedroom luxury suites. These units — available for sale through Strata Titles — offer value for investors in that they are packaged with an leaseback model and a lifestyle program. Priced at RM1.6 million and up, the suites range from 950 square feet to 1,200 square feet. The next set of exhibitions runs from March 29-30 at Singapore’s Four Seasons Hotel. Knight Frank has been appointed as exclusive agent for the sale of the units. 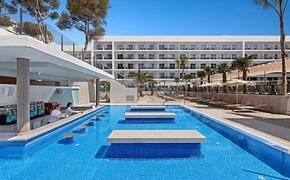 Owners of the suites will be able to stay in their units for 60 days per year and enjoy the resort’s range of facilities. All Angsana Teluk Bahang’s Suite owners are automatically enrolled into The Sanctuary Club, an innovative exchange program which allows owners to exchange part of their annual entitlement for a complimentary stay at any destination within the network. In addition, discounts and privileges are offered to all owners, including hotel accommodations at all Banyan Tree and Angsana resorts around the world, spa treatments, restaurants, and gallery merchandise. Located on eight acres of the island’s last prime beachfront site, Teluk Bahang, the eco-friendly development with a GDV of about RM500 million will encompass an area of 615,000 square feet, excluding the parking area. Teluk Bahang is Penang’s well known eco-tourism precinct, with its serene beaches, pristine cool waters and spectacular view of the Andaman Sea. 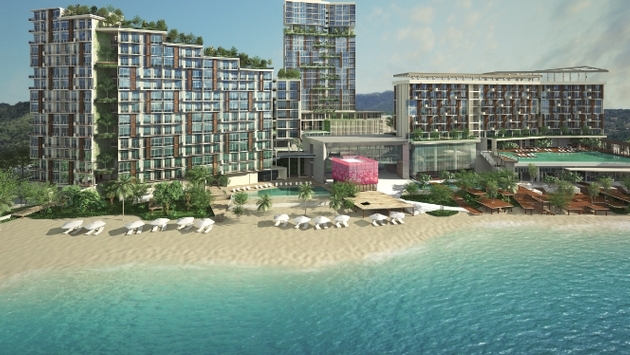 Upon completion, the resort will offer room rates in Penang ranging from $210 to $1,600 per night. The resort will include three main buildings with around 300 rooms and suites that will be sea-facing with direct beach accessibility. Designed with three swimming pools, five F&B outlets and 12 double treatment rooms under the award-winning Angsana Spa — 12,000 square feet of retail space focusing on wellness, anti-aging and rejuvenation offerings — the resort aims to be a fully integrated wellness resort. Construction is scheduled to begin in June 2014, the first phase of the resort is targeted to complete in December 2016 and the resort is slated to open its doors in early 2017. The development is expected to further spur the island’s tourism industry, which is currently attracting 5 million tourists per year via 500 flights per week. Angsana Teluk Bahang, Penang is also positioned to take advantage of its proximity to the many existing eco-tourism sites and attractions, including the Penang National Park, Teluk Bahang fishing village, Tropical Fruit Farm, Butterfly Farm, the 31-acre Escape Eco Theme Park, and the Tropical Spice Garden. A bicycle network will link the development to all these eco-tourism spots. Drawing inspiration from the rich Penang Peranakan Nyonya Baba architectural and design heritage, the development’s architecture and interior design will incorporate the vibrant colors and floral and geometric patterns that pay tribute to the Straits Eclectic Style and Penang’s status as a UNESCO World Heritage Site. Angsana Teluk Bahang will also integrate green building practices, adhering to the principles of EarthCheck Sustainable Design Standards — consistent with Banyan Tree Hotels & Resort’s commitment to sustainable tourism. Also present at the launch were Andrew Langston, VP, Hotel Operations, Asia Pacific, Banyan Tree Hotels & Resorts; and Paul Tan, Managing Director of Senja Aman Development.